Jacksonville, FL- The Conquistadors take down the Bobcats of Georgia Northwestern Technical College 100-70 today at Trinity Baptist College. Georgia Northwestern Technical College, is a first year program, coming into the contest they held a record of 1-1 before facing our Conquistadors. Several young men stood out with phenomenal effort tonight to create the total team win. Both Fabian MacDonald and Terence Johnson contributed on the night scoring 19 points apiece. Another valiant effort came from Petar Skoknic who contributed 15 points while Chris Hall poured in 14 points; while Christian Anglada had 12 points and leading the assists column for the Conquistadors giving out 5 assists on the game. Headed home undefeated after a very tough and competitive tournament our Conquistadors will get some rest and be back at it next week! 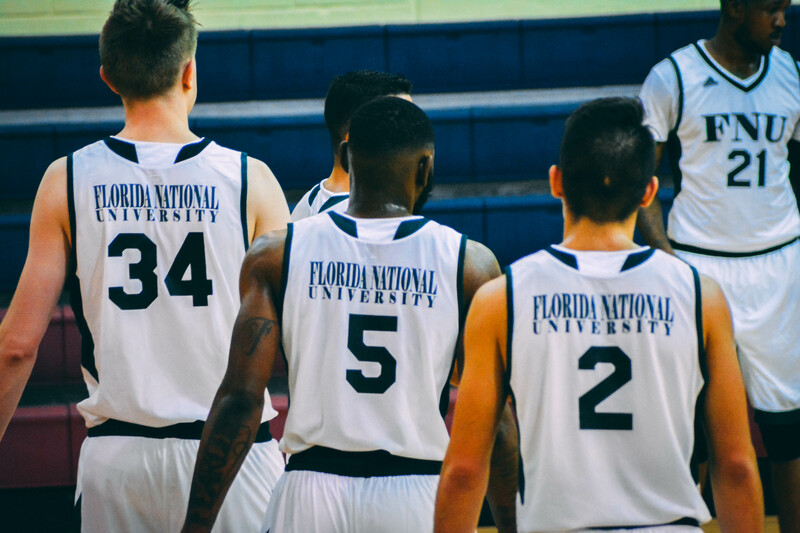 The Conquistadors are back on the court Tuesday, November 7th in North Miami as they take on cross town rival Johnson & Wales University on their home court. Our cherished Conquistadors returns home holding a 3-2 record for the start of this season.